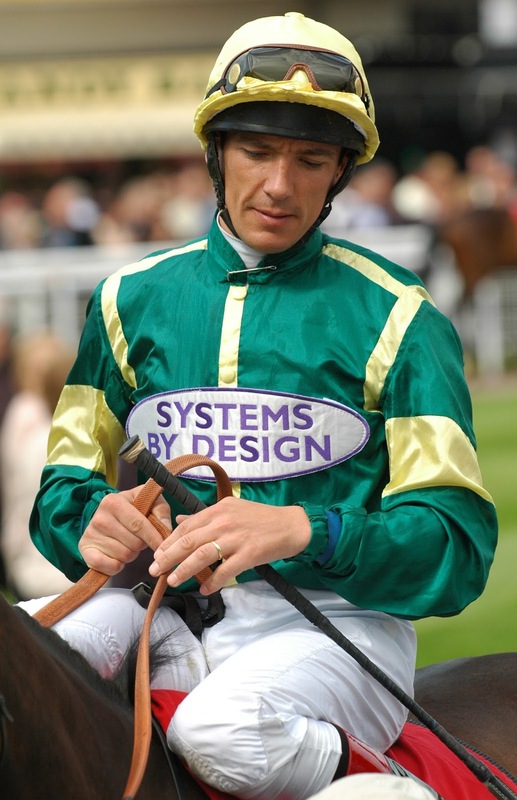 Lanfranco "Frankie" Dettori, the three-times British champion jockey, was born on this day in 1970 in Milan. As well as winning the UK jockeys' title in 1994 and 1995 and again in 2004, Dettori has won more than 500 Group Races around the world, including 16 British Classics. He won his first Classic in 1994 on Balanchine in the Oaks, the St Leger in 1995 on Classic Cliche, the 2,000 Guineas in 1996 on Mark of Esteem and the 1,000 Guineas in 1998 on Cape Verdi, finally completing the set at the 15th attempt when Authorized won the Derby at Epsom in 2007. Dettori won the Derby for a second time in 2015 on Golden Horn, whom he rates the best horse he has ever ridden. English-bred and owned by the diamond dealer Anthony Oppenheimer, Golden Horn won the Derby, the Eclipse Stakes, the Irish Champion Stakes and the Prix de l'Arc de Triomphe for Wiltshire trainer John Gosden during the 2015 season, each time with Dettori in the saddle. Apart from his big-race successes, which also include 24 Group Race wins in Italy and all of the Irish Classics, Dettori is best known for his unprecedented and so-far unequalled achievement of riding the winners of all seven races on a single day at Ascot in 1996. Dettori's so-called Magnificent Seven including the prestigious Queen Elizabeth II Stakes, which he won on his 2,000 Guineas hero Mark of Esteem. 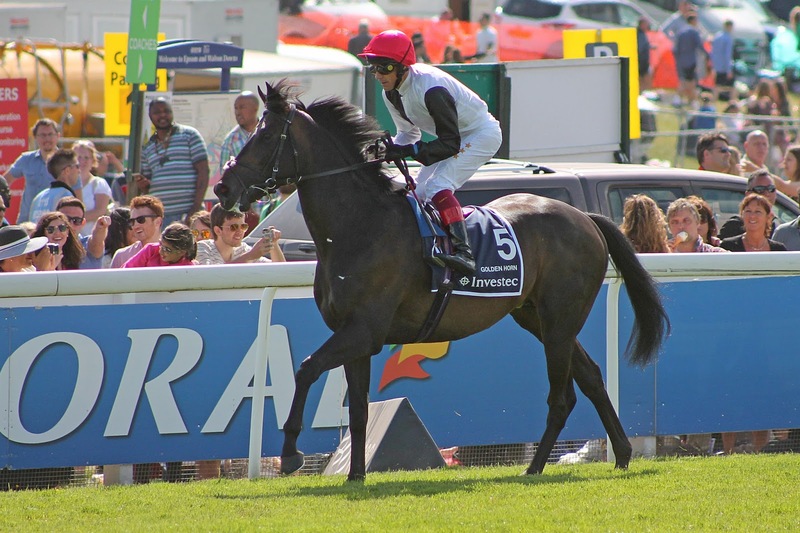 Most of his winners started as favourite or second favourite but his Diadem Stakes winner Diffident was a 12-1 shot, which inflated the cumulative odds for the seven-timer to 25,051-1, enabling one punter who had predicated that Dettori would go through the card to collect more than £500,000 in winnings. Dettori celebrated his final win on Fujiyama Crest by dismounting with the flying leap that was to become his hallmark, standing up in the stirrups before jumping sideways off the horse to land on his feet. Dettori was born into horse racing. His Sardinian father, Gianfranco, was 13 times champion jockey in Italy, as well as riding successfully in Britain, where he won the 2,000 Guineas in 1975 and 1976. Frankie's dream was to follow his father into the profession and he left school at 13 to become a stable boy and apprentice jockey. 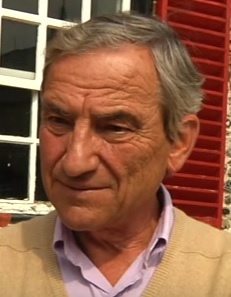 He rode his first winner at Turin in November 1986 but by that time had become apprenticed to the Italian trainer Luca Cumani at Newmarket and rode his first winner on British soil when Lizzie Hare triumphed at Goodwood in 1987. Three years later he became the first teenager since Lester Piggott to ride 100 winners in one season. In recent years, Dettori's career has suffered a number of setbacks. In September 2012 he lost his position as retained jockey for the powerful Arab-owned Godolphin Stable, for whom he had enjoyed considerable success over 18 years, and soon afterwards tested positive for a recreational drug, which led to him being banned for six months. It was not the first time he had attracted headlines for drug use, having admitted in a television interview that he had regularly taken diuretics and laxatives that were subsequently banned in order to keep his weight off. Yet Dettori, who had bounced back once before after being injured in a light aircraft crash in 2000, rebuilt his career and reputation, securing an agreement to ride for the powerful Qatar-based Al Shaqab Racing. In 2016, at 45 years old, became only the sixth jockey to ride 3,000 winners in Britain, which put him in the company of Sir Gordon Richards, Doug Smith, Lester Piggott, Pat Eddery and Willie Carson. After Predilection - like Golden Horn, trained by John Gosden - took him to the milestone at Newmarket in August, he again celebrated with his flying dismount. Away from racing, Dettori, who lives in the village of Stetchworth, near Newmarket, with his wife, Catherine, and their four children, owns a number of restaurants in London and Dubai. He supports Arsenal football club and has taken part in the reality TV show, Celebrity Big Brother. 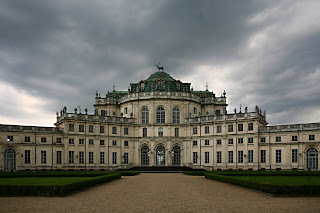 Turin's horse racing track, the Ippodromo Stupinigi or Ippodromo di Vinovo, is close to the historic Palazzina di caccia of Stupinigi, which was built in 1729 as a hunting lodge for Victor Amadeus II, King of Sardinia, as one of the Royal Residences of the House of Savoy. The house, overlooking a large expanse of park land and surrounded by ornate gardens, is built around a tall central dome and has 137 rooms and 17 balconies. In 1773, it was the venue for the wedding of Maria Teresa, Princess of Savoy, and Charles Philippe, Count of Artois and the future Charles X of France. Italy's most valuable and prestigious horse race, the Derby Italiano, takes place at the Ippodromo Capannelle, a racecourse in the southern suburbs of Rome, between the Cinecittà district and Ciampino, which is home to the city's second international airport. There is a train service to Capannelle direct from Roma Termini station, with a journey time of eight minutes.